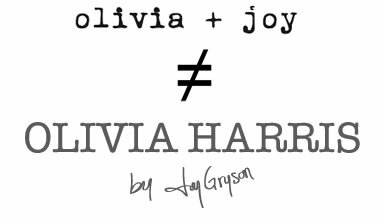 Thought Olivia & Joy was related to Olivia Harris by Joy Gryson? Think again. At this point, bucket bags and studs are no one’s new favorite trends anymore. 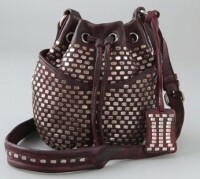 Particularly studs – I can’t remember the last time I saw a bag that was covered in studs that didn’t look like Fall/Winter 2009 had thrown up all over it. 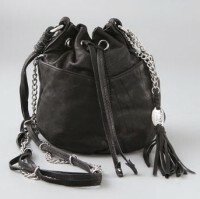 Drawstrings, if a recent post on the subject over at PurseBlog is any indication, are quickly headed in that direction. 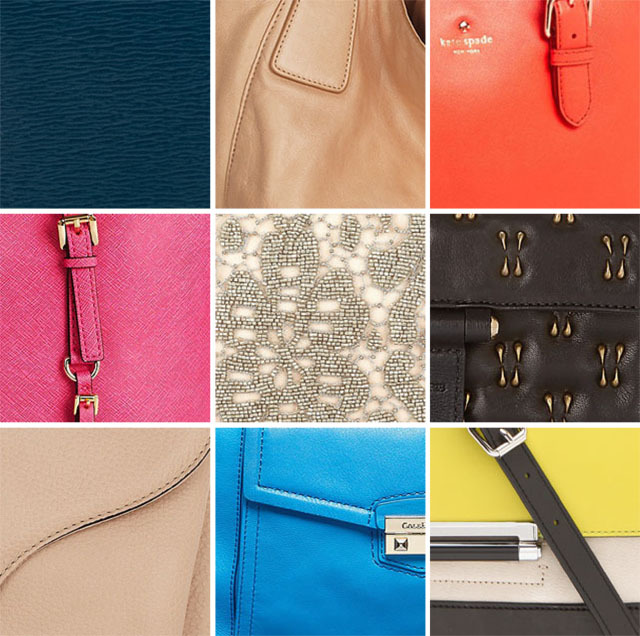 So, there is a good chance you know that we do our best *not* to replicate handbag coverage here. 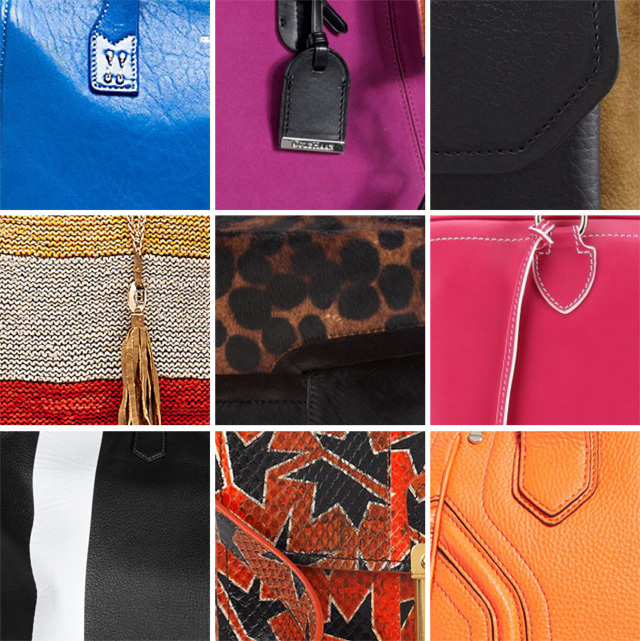 There are so many handbags out there that we become busy trying to cover a wide variety of our favorites (and sometimes not so favorites), meaning we don’t really find a need to revisit a given design. 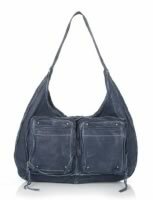 However, every now and again there is a bag that has already been reviewed by myself or another member of the PurseBlog team that deserves a revisit. The more I see from Olivia Harris, the more I like the brand, designed by Joy Gryson. 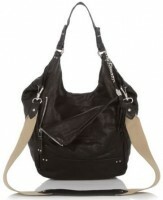 The leather looks fabulous and on most bags, including the Olivia Harris Studded Ball Hobo, it’s lambskin. And in case you’re not aware, that means it almost certainly IS fabulous in real life.